For some environments cards such as those announced by Broadcom are used in passthru mode effectively as adapters for attaching SAS, SATA and NVMe storage devices to servers. Those servers may be deployed as converged infrastructures (CI), hyper-converged infrastructures (HCI), Cluster or Cloud in Box (CiB) among other variations. To name names you might find the above (or in the not so distant future) in VMware vSAN or regular vSphere based environments, Microsoft Windows Server, Storage Spaces Direct (S2D) or Azure Stack, OpenStack among other deployments (check your vendors Hardware Compatibility Lists aka HCLs). In some cases these cards may be adapters in passthru mode, or using their RAID (support various by different software stacks). Meanwhile in other environments, the more traditional RAID features are still used spanning Windows to Linux among others. Some of you may know of Broadcom having been around for many years with a focus on networking related technologies. However some may not realize that Avago bought Broadcom and changed their name to Broadcom. Here is a history that includes more recent acquisitions such as Brocade, PLX, Emulex as well as LSI. Some of you may recall Avago buying LSI (the SAS, SATA, PCIe HBA, RAID and components) business not sold to NetApp as part of Engenio. Also recall that Avago sold the LSI flash SSD business unit to Seagate a couple of years ago as part of its streamlining. That’s how we get to where we are at today with Broadcom aka formerly known as Avago who bought the LSI adapter and RAID business announcing new SAS, SATA, NVMe cards. Broadcom has announced cards that are multi-protocol supporting Serial Attached SCSI (SAS), SATA/AHCI as well as NVM Express (NVMe) as basic adapters for attaching storage (HDD, SSD, storage systems) along with optional RAID as well as cache support. These cards can be used in application servers for traditional, as well as virtualized SDDC environments, as well as storage systems or appliances for software-defined storage among other uses. The basic functionality of these cards is to provide high performance (IOPs and other activity, as well as bandwidth) along with low latency combined with data protection as well as dense connectivity. 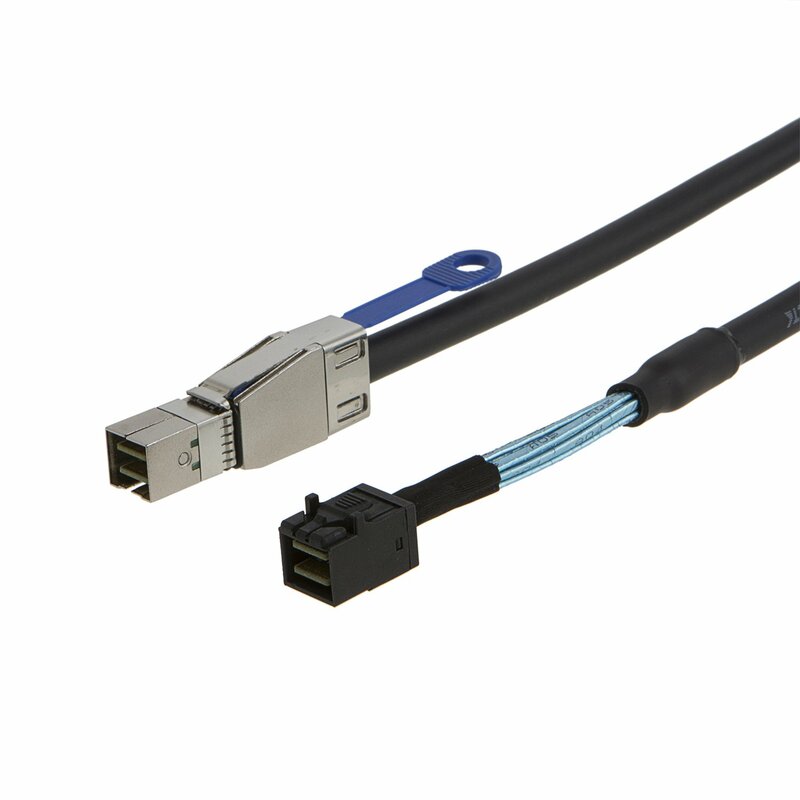 In case you need a refresher on SFF cable types, click on the following two images which take you to Amazon.com where you can learn more, as well as order various cable options. PC Pit Stop has a good selection of cables (See other SFF types), connectors and other accessories that I have used, along with those from Amazon.com and others. For those who are not familiar with NVMe and in particular U.2 aka SFF 8639 based devices, physically they look the same (almost) as a SAS device connector. The slight variation is if you look at a SAS drive, there is a small tab to prevent plugging into a SATA port (recall you can plug SATA into SAS. For SAS drives that tab is blank, however on the NVMe 8639 aka U.2 drives (below left) that tab has several connectors which are PCIe x4 (single or dual path). 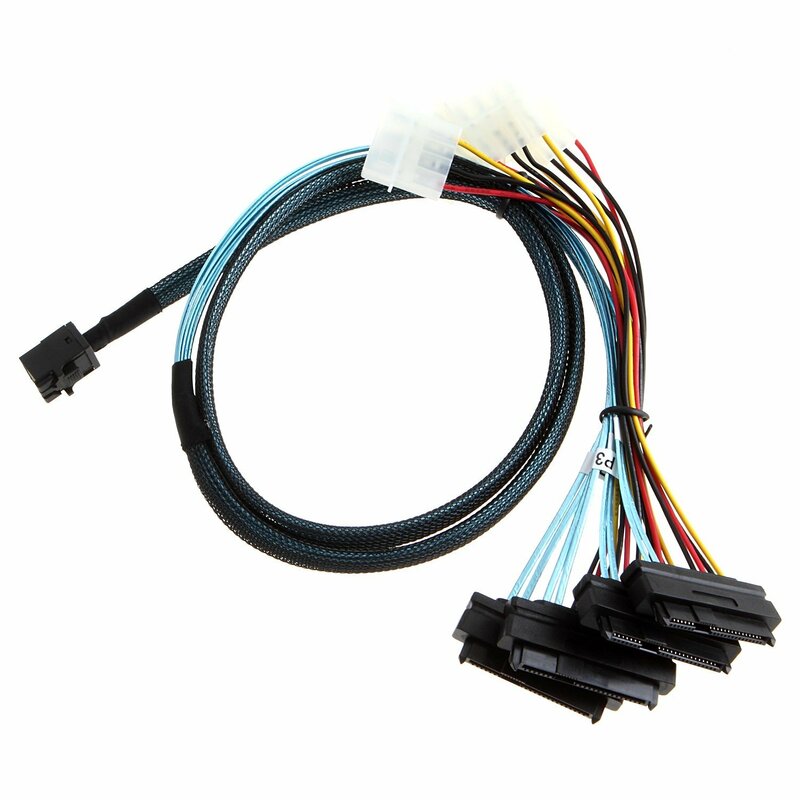 What this means is that the PCIe x4 bus electrical signals are transferred via a connector, to backplane chassis to 8639 drive slot to the drive. Those same 8639 drive slots can also have a SAS SATA connection using their traditional connectors enabling a converged or hybrid drive slot so to speak. Learn more about NVMe here (If the Answer is NVMe, then what were and are the questions?) as well as at www.thenvmeplace.com. These cards are applicable for general purpose IT and other data infrastructure environments in traditional servers among others uses. They are also applicable for systems builders, integrators and OEMs whom you may be buying your current systems from, or future ones. The following are additional resources to learn more about vSAN and related technologies. Even as the industry continues to talk and move towards more software-defined focus, even for environments that are serverless, there is still need for hardware somewhere. These adapters are a good sign of the continued maturing cycle of NVMe to be well positioned into the next decade and beyond, while also being relevant today. Likewise, even though the future involves NVMe, there is a still a place for SAS along with SATA to coexist in many environments. For some environment there is a need for traditional RAID while for others simply the need for attachment of SAS, SATA and NVMe devices. Overall, a good set of updates, enhancements and new technology for today and tomorrow, now, when do I get some to play with? ;).